Washingtonia robusta (Mexican fan palm) is a single-trunked palm tree (family Arecaceae) found in the San Francisco Bay area, southern Sacramento Valley and on California’s south coast. 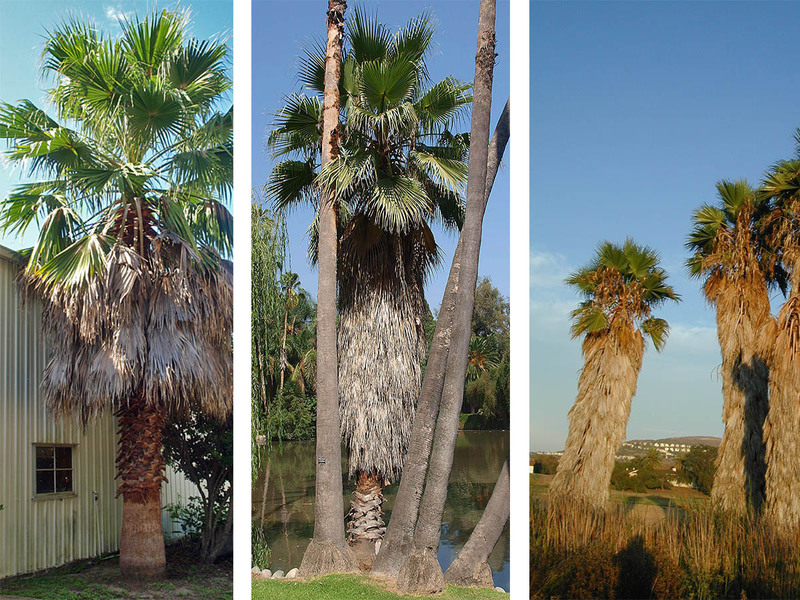 Mexican fan palm is a common landscape ornamental that has become invasive in riparian areas, orchards and landscaped areas. This palm is known to create monospecific stands in riparian areas, and dead fronds of the tree can create a fire hazard. The species can be controlled with relative ease by removing the seedlings.